The most easy, cheap, and pain-free way to prevent tooth decay! Despite the abundance of information about dental health, childhood tooth decay continues to be an issue. According to the National Institute of Dental and Craniofacial Research, 42% of children 2-11 have dental caries, a.k.a. cavities. We teach our children to brush, try to eat right, limit juice and chewy sugar treats, but still cavities are a pretty significant health concern. And, in all fairness, recent scientific discoveries have pointed to bacteria and genetics as two significant factors that contribute to dental decay. Well, if you haven’t discussed dental sealants with your child’s dentist, then you need to. Of all the treatments that have been clinically shown to reduce cavities in kids, the one least talked about is dental sealants. Dental sealants are a thin plastic coating painted on the chewing surfaces of the back teeth, usually molars and premolars. The sealants level out and protect the grooves of those teeth from tooth decay by “sealing out” food and bacteria. Given that dental sealants have been shown to reduce tooth decay by up to 60%, it’s safe to say that everyone can benefit from them. However, children and those most susceptible to tooth decay benefit the most, especially if they are not thorough brushers. 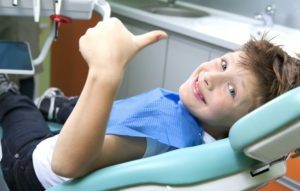 Does getting dental sealants hurt? There are four main steps in the process of applying the sealant. 1 – The dentist cleans the tooth. 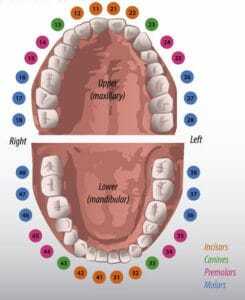 2 – A special gel is applied to condition the tooth. 3 – The gel is cleaned off and the sealant is applied. The sealant is cured with a special blue light. 4 – Once the dentist evaluates that the tooth looks good, you’re all done. It only takes a couple minutes a tooth. Here is a great detailed description of the dental sealant process. Do you need to do anything special afterwards? No. After you or your child has gotten their dental sealants, you can go about eating and drinking normally, unless your Dr. says otherwise. Dental sealants can last up to 10 years. However, they should be checked at your regular dental hygiene visits. If there are areas that have worn out the Dentist will replace them. Dental sealants are a great preventative tool against cavities and tooth decay for children and adults. It’s been found that they can lessen the incidence of tooth decay by up to 60%. And, in comparison to getting cavities drilled and filled, dental sealants are a pain free and cost saving procedure we recommend to many of our patients.